Cousin, Cousin! Tia and Tamera Mowry recently shared cute photos and video clips of their kids giving a bit of cousin love. One candid showed Cree, Aden, and Ariah leaning against a brick wall while smiling for the camera. Cree, the oldest of the group, simply smiled. Aden and Ariah, on the other hand, held up the peace sign while taking pictures. “Gawd I love these kids,” Tia exclaimed. “I can’t wait for Cairo to catch up,” she said. Another Instagram post shared by Tamera was of Cree and the Housley kids having fun at home. Aden and Ariah double-teamed their older cousin in hopes of having a little fun with roughhousing. Life is busy. But there is nothing like making time for your loved ones. When you do get together it’s priceless, and so is COUSIN LOVE. Can’t wait for Cairo to join in on the fun! Cairo, Tia and Cory Hardrict’s youngest child, may not be able to play with her brother and cousins just yet. She can, however, take pictures that just melt your heart. A recent candid of baby Cairo showed her smiling while looking up at the camera. “My miracles,” Tia told her Instagram fans. Many supporters of Tia and Tamera were gearing up for a Sister, Sister reboot. Tia, however, shared the sad news of such a reunion being on hold indefinitely during a recent interview with ESSENCE. “We were ready to say, ‘Let’s do this,’” Tia revealed. “The actors, the writers, the producers — all of us. But then there were some sort of legal hiccups that put a halt to it,” the actress added. We will have to wait and see if there is a Sister, Sister reboot in the near future. For now, we will enjoy the cousin love that Cree, Aden, and Ariah bring. 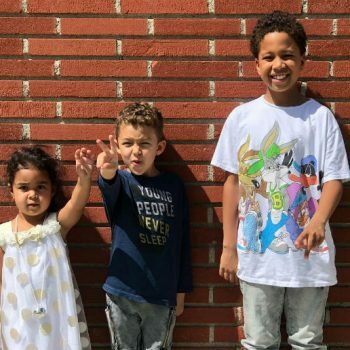 The post TIA AND TAMERA MOWRY SHARE ADORABLE PHOTOS AND VIDEOS OF THEIR KIDS: ‘COUSIN LOVE’ appeared first on BCK Online.